This month, we’ll be exploring the role of a Content Strategist! Content strategists work along with designers and engineers and their focus is on the content that appears on a site or product. Content strategy entails the planning, development, and management of content typically in digital media (e.g., websites, social media, etc. ), so relevant content is displayed to the right audience at the right time. For example, with a website, they might help clients define the story they want to tell and then help them prioritize positioning that content so it resonates with their visitors best. To do this well, content strategist engage the client/stakeholders to understand them, their goals, and their users in order to craft the right content. Join us as we welcome our speakers Tony Poillucci, Vice President, Senior Strategist & Creative Director and Matt Walters, Vice President, Director of Account Services from VisionPoint Marketing as they provide us with insight into content strategy and lead us through the activity. We’re also excited that VisionPoint just moved into a new office, so before we kick off the presentation, they’ll be giving us a tour of their brand new space! During the final portion of the night, you'll participate in the process of defining strategic, goal-driven content for a website. We'll work with a real "client" and will address everything from research, business goals, the engagement process, target personas, user flows, information architecture and more. We will break into small groups and brainstorm ideas for content and calls-to-action designed to connect with website visitors in a way that captures their attention and drives them to an ultimate end goal. We’re at VisionPoint Marketing (3210 Fairhill Dr., #150, Raleigh, NC 27612) in North Raleigh. There is ample parking and you can enter the office and we’ll check you in. You can RSVP here: http://bit.ly/aditl-content. We will close the RSVP list by noon on the day of the event. Please be kind to your fellow members and update your RSVP to “No” if you cannot attend the event. We know it’s easier to be less accountable for free events, but we really like to keep these events free to advocate for UX in the community. We really trying to avoid imposing a fee or a 3-strikes policy to hold people accountable. As Vice President, Senior Strategist and Creative Director, Tony does a little bit of everything. He is primarily responsible for developing effective strategies and compelling experiences that help VisionPoint Marketing’s clients achieve their goals. Tony’s experience runs the gamut from the technology sector to non-profits, but for the past decade, his focus has been on Higher Education Marketing. Tony has led branding, website and integrated program engagements for Virginia Tech, Boston College, University of Maryland, Wake Tech Community College, and many others. He also writes, blogs, and speaks nationally about Higher Ed marketing. 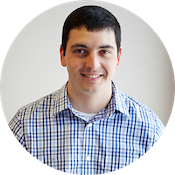 Matt is the Vice President, Director of Account Services at VisionPoint. 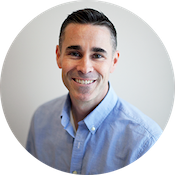 An expert strategist with a varied background in higher education, Matt is passionate about VisionPoint’s mission as well as the educational mission of his clients. From branding engagements to website design and development projects, integrated marketing plans to campus-wide content strategies, Matt balances his intuitive sense of strategic direction with his ability to really listen, a combination that enables clients to envision and achieve goals they would have never thought possible. Matt came to VisionPoint from Gardner-Webb University where he was a major gifts officer, the executive communications director and a member of the English department faculty. This event series is brought to you by exploreUX and Triangle UXPA. The event is co-sponsored by VisionPoint Marketing.